As much as Jill Stein tried to ride Bernie Sanders' revolution wave to victory, it never picked up steam. There were of course some who voted for her, but her attempts to recruit Sanders to her team failed miserably. But there is one wave that Stein has ridden quite successfully: the recount wave. When news came out that some computer specialists were worried about hacking, she assumed the mantle of leadership to make it happen, with quite a bit of success. 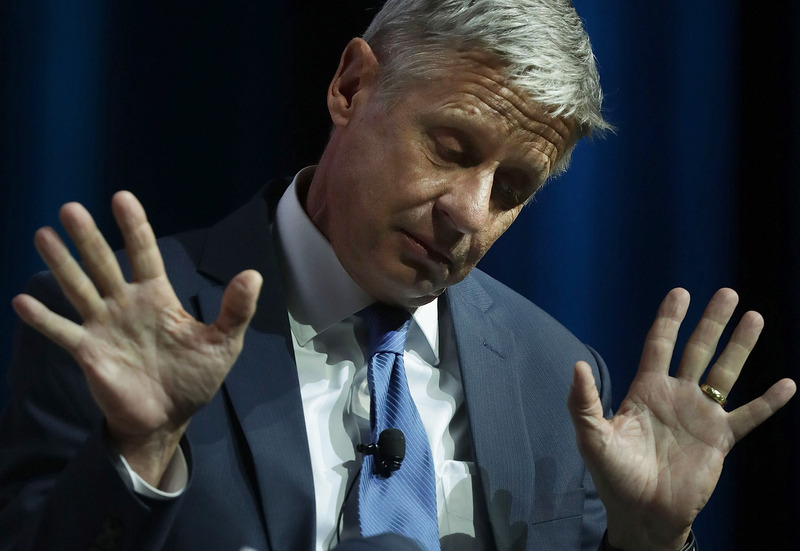 So should we expect the same of the other third-party candidate? Will Gary Johnson file for a vote recount? Given that we haven't heard anything from Johnson thus far since Election Day, it's safe to say that we will not. This was supposed to be his and the Libertarian Party's year — some imagined votes totaling in the double digits, what with voter dissatisfaction with Donald Trump and Hillary Clinton at record highs. But instead, he garnered about 3 percent of the vote. That was a big increase but a also big disappointment for a candidate that was at times polling close to the 15 percent that was needed to make the debates. That he had such a lackluster showing might be the biggest reason for him to file for a vote recount. It has worked really well for garnering Jill Stein attention — and money. She's already raised far more for the recount than she did for her entire campaign — currently $6.7 million. Anything that isn't spent on the recount efforts are being kept separate from her campaign fund, and will go to creating a more transparent electoral system. The goodwill is much appreciated by some Clinton supporters, if not Clinton's campaign — especially since some think Stein's votes in Wisconsin and Michigan would have given the states to Clinton. The process is still underway, so exactly how many states Stein successfully petitions for a recount remains unclear. Wisconsin set theirs up already, and Michigan will get started shortly. Pennsylvania is more of a wild card. There's a court date set for Monday to see if it will happen. The chance that they change anything is extremely unlikely, given that the margins Trump won with, while small, are larger than has ever been made up in a recount effort. There would have needed to be hacked voting machines or some other systemic problem for so many votes not to have been counted. As you can see, though, this is now clearly Stein's gig now — not Johnson's. Heck, not even Clinton herself is leading it. Johnson could try to jump on the bandwagon, but besides it being associated now with Stein, some Johnson voters would probably have Trump as their second pick. In other words, anyone right-wing should be happy with the results. Therefore, Johnson wouldn't want to alienate his former GOP if he's going to have a shot at running for a third time in 2020.